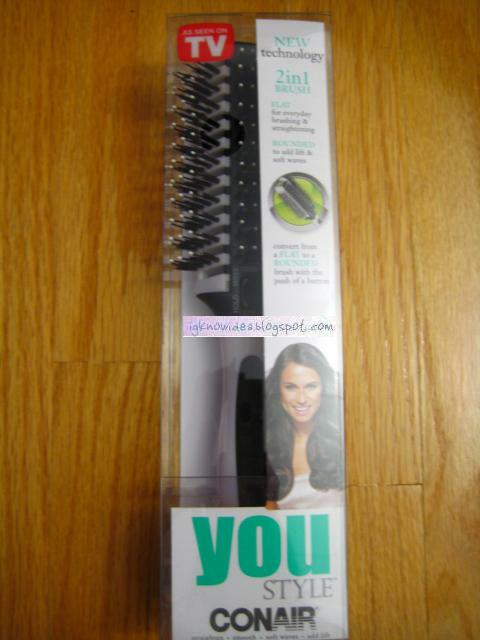 Beauty & All That: You Style Conair Brush- 2 brushes in 1! For past couple weeks, I've been using this You Style Conair Brush that is literally a flat paddle brush which can be converted into a rounded brush. I usually use a wide tooth comb but I use this for styling via flat paddle brush to get even straighter hair or via rounded brush for curled in ends. This is great to use b/c I can never find the brush I need when I need it! 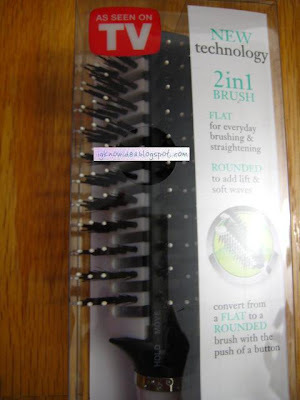 With this "two-fer" brush, you can save space & money so it's a win-win! See how this brush works..